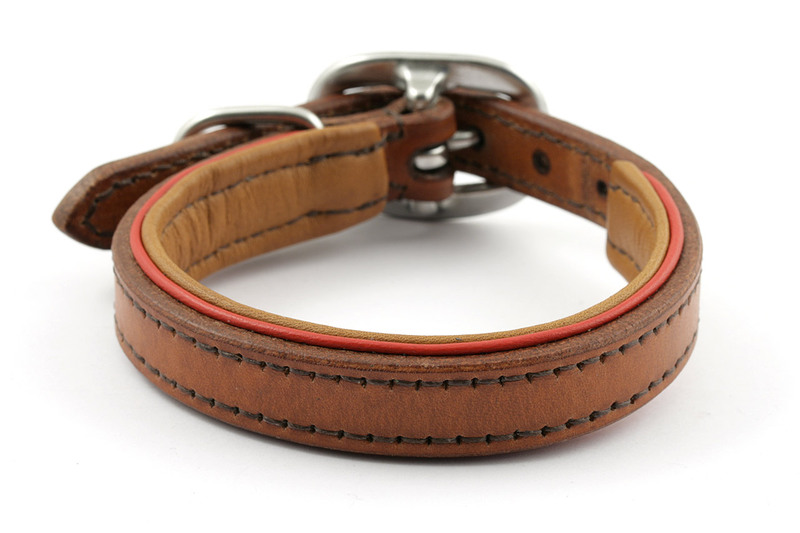 This is a set made for a Dachsund, featuring a padded collar with red accents and a simple leash 150 cm long both in hazel leather. 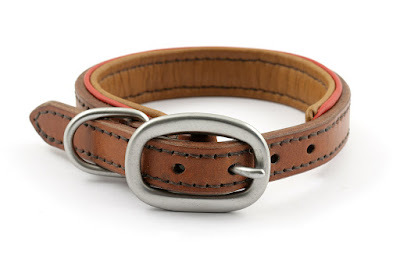 The collar measures about 30 cm at its central hole and it's made from a 16 mm strap; caramel padding, red kip accents and stainless steel fittings. 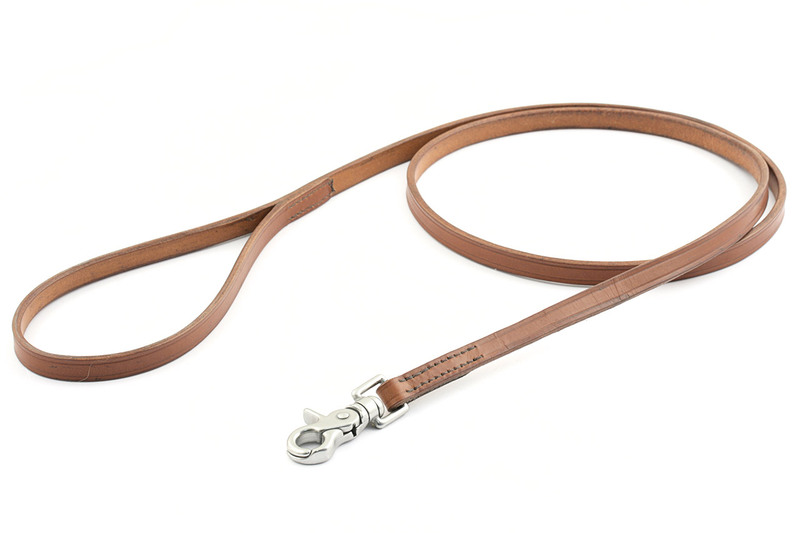 The leash is 12 mm wide and mounts a scissors snap hook.